Beside opening the faucet, how do you determine that the water in your water heater tank if fully warmed? That is easy. Slip the probe of this thing behind the tank insulation. To take a shower turn the water heater off when the temperature reaches 103F or whatever works for you and use the hot water only. And this is left in place for shower after shower? A temperature probe also helps if you're trying to conserve propane usage. You can turn the heater off when the temperature you require is reached. With Suburban water heaters I find that it is easy to hear the roar of the burner flame and also hear when it stops. The water is hot when the roar stops. Yep, permanent install. Saves a lot of propane and water. Thanks for getting me off my ........... thought about it for years. Done. Ordered some, 2 in a pack with good reviews. 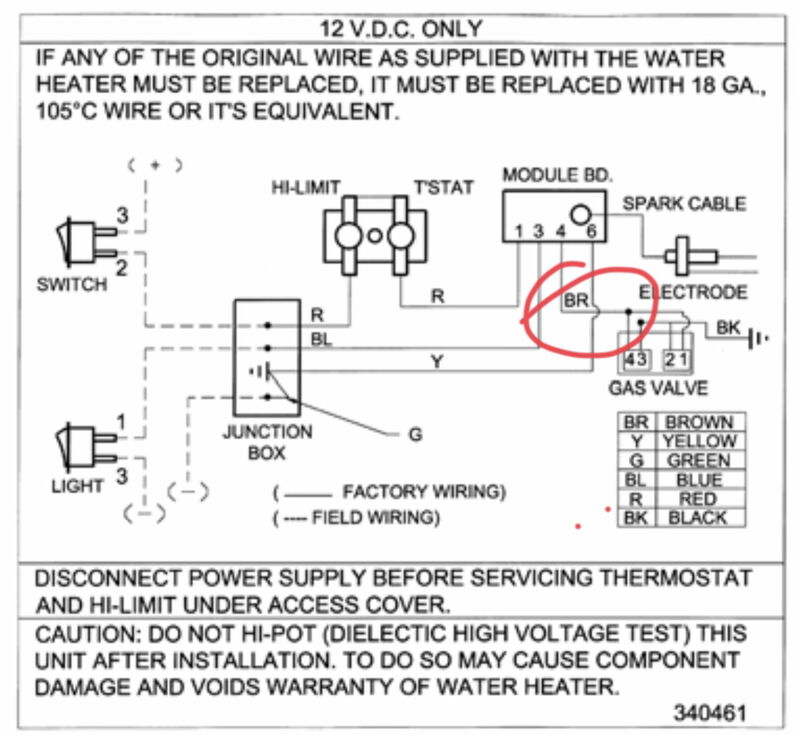 Just wonder why do you need to know if water is hot besides seeing the water heater switch being on and roar of the water heater stopped. We need to know so we can take a shower as soon as possible after we arrive at a site. Maybe listening to the roar could work but a more convenient way would be appreciated. Your LED mod should work. Note, though, that unless you are a member of the Church of No Propane While Driving, there is no reason why you can't have hot water as soon as you pull into camp.